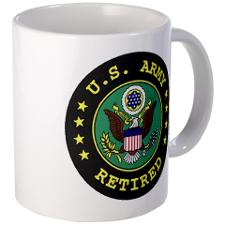 This is an acronym for living the US Army values during a Soldiers service whether it is for 2 years or 30 years…. I lived these values for over 33 years during my professional life and in my personal life; they have served me well. Now that I am retiring from military service and will be embarking on my photography as a “3rd” career (Army #1, Fire Service #2), I want to share with you what each of the letters are and how they served me. There are many of you who have served before me and along with me know them all too well; thank you for your service! Everybody has a set of values they live by; these can help serve you in any business or job you have; not only for yourself but your interactions with family, peers, subordinates and future clients on a daily basis. This is but a tool to help keep you on the map of success personally and professionally. It has been a guide for hundreds of thousands of servicemen and women (my wife served over 27 years) and can help you as well. Like any guide or bit of information you get; it’s only as good as how much the user decides to apply it. I hope you use it well….. Previous Previous post: Back in the saddle….